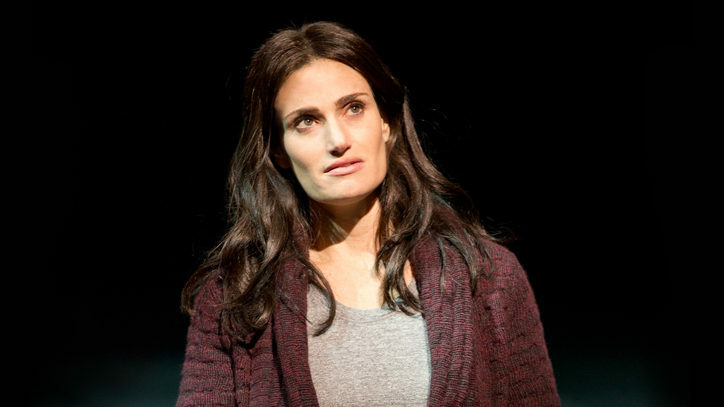 With the Tony Awards just around the corner, it’s time to take stock. Everyone is reminding themselves of all the great theater they’ve seen in the past season, not to mention rushing to catch the last batch of new plays and musicals. 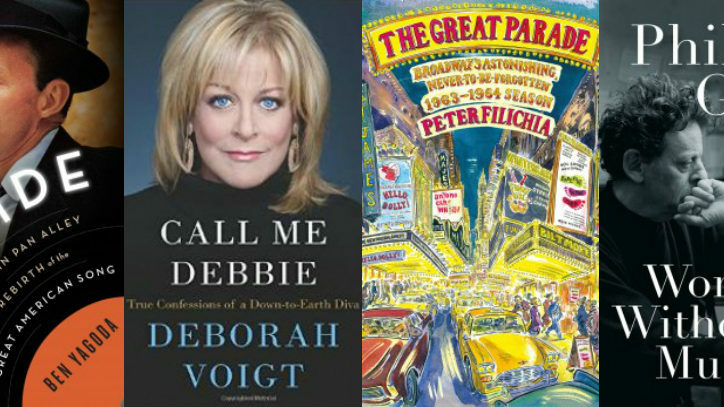 In that spirit, we’ve compiled a rundown of the best theater books of the spring, and one upcoming collection we’re especially eager to check out. 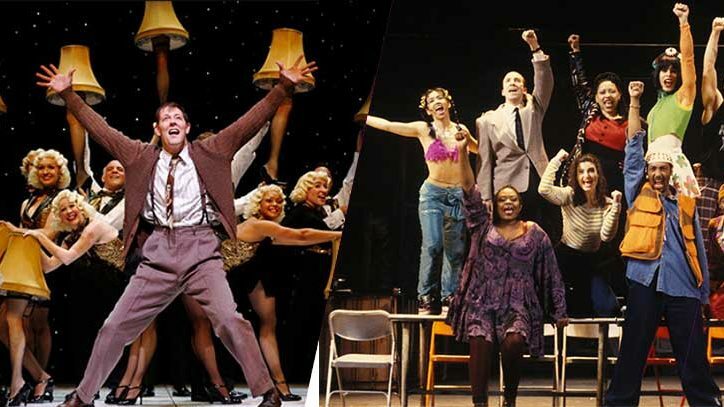 Are you looking to get your theater fix until you make it to Broadway or Broadway makes it to you with a touring production? Do you need a great gift idea? Do you want something to set aside for a pleasure read during your summer vacation? You’ll find what you need right here with BookFilter’s selection of the best theater titles ready to read right now. Cy Coleman is back on Broadway with the wildly acclaimed revival of his musical On the Twentieth Century (created with Comden and Green). Remarkably, the prolific and hugely successful Coleman — think “Witchcraft,” “The Best Is Yet to Come,” “Big Spender,” and many other standards — has never been the subject of a biography. That’s changed with Broadway Direct’s regular contributor Andy Propst, who dove into Coleman’s life with the full cooperation of the late composer’s estate. 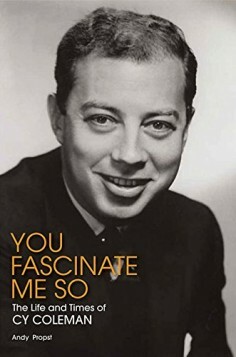 He talks to everyone and reveals a 30-plus-year career rich with successes ranging from the Neil Simon musical Little Me to City of Angels (just seen again in London) and The Will Rogers Follies. It’s a long-overdue appreciation of a major talent. Learn more. London theater is heaven for any Americans lucky enough to cross the pond. But few of us can do that with any regularity, so thank goodness the city’s shows keep coming to us. For armchair travelers who can’t plunk down the pounds to sample British theater whenever the mood strikes (and who wouldn’t love to dash over to see Imelda Staunton in Gypsy right now? ), this book is the perfect treat. 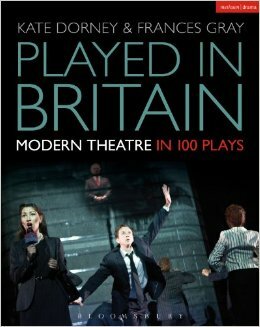 The award-winning, scholarly but accessible work surveys modern drama, from J.B. Priestley’s landmark postwar classic An Inspector Calls right up to Laura Wade’s Posh (no, we hadn’t heard of it either). It’s bursting with evocative photographs from the productions, descriptions of the shows, and insights into why they had such an impact. You can spend hours torturing yourself over the shows you missed, savoring the ones you caught, promising to read the ones that intrigue the most, and start debating what plays would make a similar list for the U.S. A forward comes courtesy of the late actor Richard Griffiths. Learn more. Tim Federle is the Broadway dancer who is making a splash with his theater-crazy middle-grade books Better Nate Than Ever and its sequel, Five, Six, Seven, Nate! We haven’t heard the last from Nate, but up now is Federle’s first picture book, created with illustrator Mark Fearing. 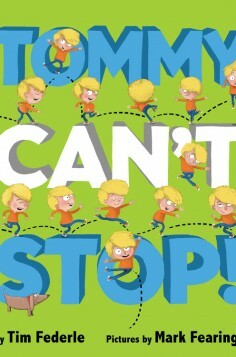 Not surprisingly, Federle has created a hyperactive kid named Tommy. The little boy’s nonstop bouncing around drives everyone to distraction until his sister suddenly has a lightbulb moment: tap class! It’s a paean to the joys of dancing, but any kid who wants to turn their passion into their life’s work (drawing, singing, adding numbers, studying bugs, you name it) will surely learn from Tommy. And, no, there’s no reason to think that author Timmy and star Tommy have anything in common whatsoever. Now accelerando with the books, please, Federle! Learn more. Come to the cabaret! 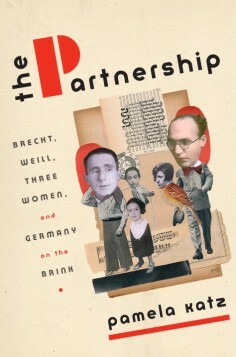 The decadent and fertile Weimar Era has dominated the popular imagination for decades, thanks especially to the brilliant theatrical work of Bertolt Brecht and Kurt Weill. This acclaimed new work — called “colorful, perceptive, and riveting” by Kirkus Reviews — tells the full story of their combative collaboration on The Threepenny Opera and The Rise and Fall of the City of Mahogonny. Author Pamela Katz — who scripted the praised film Hannah Arendt — also gives full due to the women who played signature roles in the birth of these works. Because frankly, the cabaret of our dreams wouldn’t be half as memorable without the contributions of actresses Lotte Lenya, Helene Weigel, and writer Elizabeth Hauptmann. Learn more. Usually, it’s the critics who kill a show on Broadway. 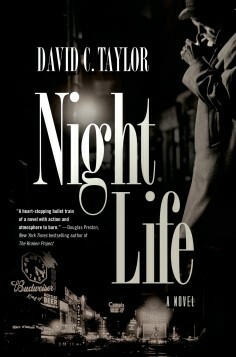 But in this hard-bitten noir from debut novelist David C. Taylor, the bodies are literally piling up on the Great White Way. This 1954 mystery is no breezy backstage romp. Our hero, Michael Cassidy, is a New York City cop called in when the bodies of chorus boys start appearing with unnerving regularity. Cassidy is perfect for the job: His father is a successful Broadway producer and his godfather is a Mafia boss. Your typical cop, he’s not. With the McCarthy hearings as an ominous backdrop and everyone from the FBI to the mob taking an interest in the case, Cassidy has his hands full in what should be the start to an intriguing series that takes its theater as seriously as its crimes. Learn more. Broadway insiders know Stewart F. Lane as the six-time Tony-winning producer behind shows such as the current hit A Gentleman’s Guide to Love & Murder, as well as co-owner of the Palace Theatre. Lane is also an increasingly ambitious chronicler of theater history, and his new book celebrates and explores the story of African Americans on the Great White Way, as its subtitle puts it. 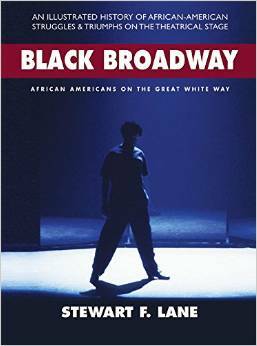 Black Broadway works in two ways: It is profusely illustrated and can serve as a handsome coffee table book, but it’s also deeply researched and can be intensely read for the text alone. It journeys from minstrel shows to the present day, and theater buffs will enjoy this chronicle of a vital element in Broadway history. Learn more. 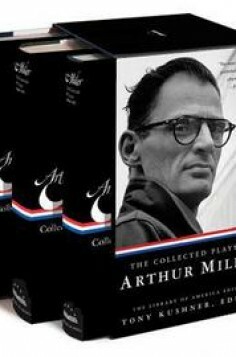 Any shortlist of America’s greatest playwrights includes Arthur Miller’s impressive body of work. He won the Pulitzer Prize; he won multiple Tony Awards; and most important of all, he left behind plays including The Crucible, All My Sons, and A View From the Bridge that are produced and performed all over the world again and again. As proof, look to London, where the great Antony Sher is tackling Death of a Salesman for the Royal Shakespeare Company in a landmark production. Now, the Library of America has collected his plays in a handsome three-volume set. You get all his works, along with the Miller novella that inspired his screenplay for the film The Misfits, as well as editor Tony Kushner’s impassioned eulogy delivered at the playwright’s funeral in 2005. Learn more. 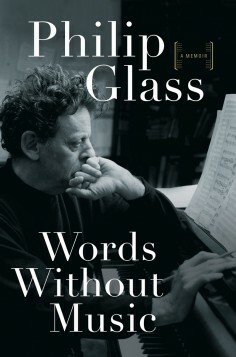 Composer Philip Glass is one of the most prolific and acclaimed artists working today in classical music. Glass might have focused on one key event in his life — such as the original mounting of Einstein on the Beach or an eye-opening journey to the East. He might have delivered his thoughts on classical music and the best way a would-be composer should prepare for a career. Glass could have focused on his childhood, before the music started in earnest. Instead, he does a little bit of everything. He offers up anecdotes from his youth, like how he smashed unsold LPs so they could be returned as damaged goods, and recalls how during his first audition for Julliard as a flutist, Glass was stopped and told, “You don’t really want to play the flute, do you?”; he honors the teachers who molded him through fear (Nadia Boulanger) and love (Ravi Shankar); and he remembers being broke after the sold-out success of Einstein. Mixed in here and there are Glass’s still-scrappy defenses of his music. Sure to be enjoyed by admirers, it’s probably too discursive to win Glass some new ones. If you want a good musical introduction to his work, see the film Koyaanisqatsi or buy the album Glassworks. If you’re already a fan, rest assured you’ll enjoy Glass in what ever mode he holds forth here. Learn more. The songs of Broadway were the songs of popular music for decades. Then abruptly, in the 1950s, it stopped almost overnight. Instead of popular music being dominated by Berlin, Gershwin, and Porter, people started gobbling up Elvis Presley and nonsense like “How Much Is That Doggie in the Window?” What happened? 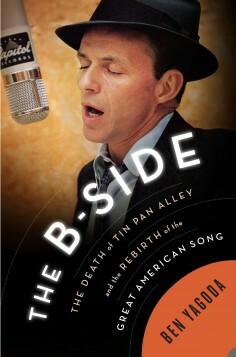 Author Ben Yagoda explains it all in this cultural history that explores events like the battle between ASCAP and BMI, the impact of TV, and Frank Sinatra’s feud with Mitch Miller, showing how they shaped and changed the songs that America danced to and sang along with. Yagoda shows how the arrival of the 78rpm format helped shape and refine songwriting, explains why jazz exploded and evolved after World War II, and much more in a critically acclaimed work that will be fascinating for anyone who loves the Great American Songbook and wonders why it is frozen in time. Learn more. Think being a ballerina is tough? Have you seen the movies and documentaries in which struggling with weight is a constant oppressive issue? Imagine doing all that, following your dream, performing at the highest level . . . and becoming a mother. That’s the focus of this ambitious project that combines intimate and revealing photographs shot by Lucy Gray during a 14-year span, with interviews of the artists and their families by Hilton Als of The New Yorker. 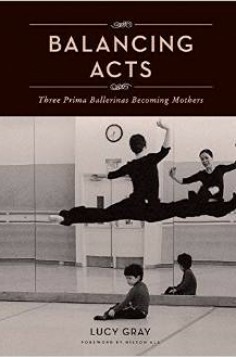 The visuals and incisive text tell the story of three dancers at the San Francisco Ballet who all chose to have children at the peak of their careers, with all the challenges and rewards one can imagine such a journey would deliver. Learn more. The movies have 1939, often called the greatest year for the Hollywood studios in history. Baseball has the 1927 Yankees. And theater, some would say, had the season that ran from the fall of 1963 through the spring of 1964. Most would say the creative heyday was in the 1940s, but it’s hard to argue with Peter Filichia’s fondness for the astonishing talent on display during the remarkable season he celebrates here. 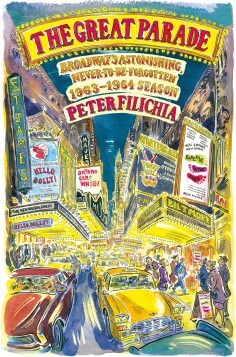 A fixture on the theater scene for many years as critic, TV personality, and force on the Drama Desk and other awards, Filichia goes deep into the shows, gossip, and lore behind the season. Just listing the stars trodding the boards among the 68 new productions will whet your appetite: Barbra Streisand, Carol Channing, Hal Holbrook, Mary Martin, Christopher Plummer, Kirk Douglas, Albert Finney, Robert Redford, Carol Burnett, Alec Guinness, Julie Harris, and many, many more. Learn more. 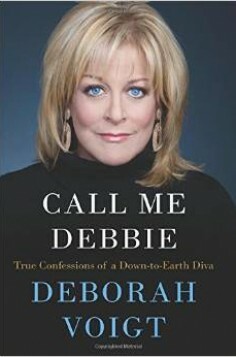 Opera star Deborah Voight opens up about her addictions to food and alcohol and self-destructive tendencies that threatened to stifle one of the classical world’s greatest contemporary careers. Voight also shares the joys, the triumphs, and the grueling work that go into a modern opera career where your life is mapped out not just months but literally years in advance. Best of all, opera fans will savor her description of the iconic roles she’s tackled and the creative process Voight used to make these characters her own. It’s all a treat for those who cry “Brava!” But really, she had us right at the start where Voight describes being a little girl and hearing the voice of God command her to sing. If you’ve ever had the pleasure of seeing her perform, you’ll find that easy to believe. Learn more. If you want to learn about an artist’s life, just look at the work they create. 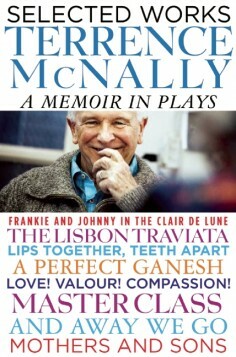 Playwright and four-time Tony winner Terrence McNally certainly has an oeuvre that would keep any fan busy. He has written 33 plays, nine musicals, three operas, and seven scripts for TV and film. Now McNally has personally selected eight key works for one career-spanning volume. He offers personal anecdotes for each one, illuminating the inspiration behind them, the creation of the plays, and how they relate to his life. Among the eight plays are classics like Love! Valour! Compassion! and Frankie and Johnny in the Clair De Lune, as well as the recent Tony-nominated play Mothers and Sons and the paean to the theater And Away We Go, both published for the first time. Learn more. Michael Giltz is the founder and editor-in-chief of BookFilter.com, as well as a freelance writer who has covered theater on both sides of the Atlantic for many years. Check out BookFilter.com for more great books every week in every category, like mysteries and cookbooks and biography and fiction and, of course, the arts.